The amazing outpouring of support we receive from the community helped us collect and distribute the equivalent of 36.1 million meals statewide last year. Getting food to hungry Utahns requires considerable resources, infrastructure and management. Our relationships with statewide and national manufacturers, retailers, packers, growers, transportation companies, government agencies and other organizations, coupled with our the ability to fundraise on a statewide (and national) level, allows us to distribute food free-of-charge to our 150 partner agencies across Utah. Those partner agencies are the direct link to get much-needed food directly into the hands of Utahns facing hunger. Our resources include two large warehouses, a transportation fleet and our valuable affiliation with Feeding America, but our most important resource is the amazing support we receive from the community. Grocery Rescue (40%): Our incredible partnerships with local grocery retailers gives us access to much-needed fresh and perishable food items that are nearing expiration dates, leveraging what would otherwise be food waste into a vital tool to alleviate hunger in Utah. Last year, we rescued over 17 million pounds of edible food from 261 grocery stores across the state, thereby keeping millions of pounds of food out of local landfills. National Commercial Donations (28%): Being a member of Feeding America’s nationwide network of food banks gives us access to food made available thanks to national vendors, producers and other food banks across the country. Often, we are able to obtain these items for just the cost of transportation. In addition, our partnerships with local transportation companies sometimes means that these food items are picked up and delivered to us free-of-charge. Government Commodities (13%): Utah Food Bank is a distributor of USDA commodities allotted for programs and agencies that provide emergency food assistance to Utah residents. Local Commercial Donations (11%): Local commercial food distributors include growers, manufacturers and retailers. 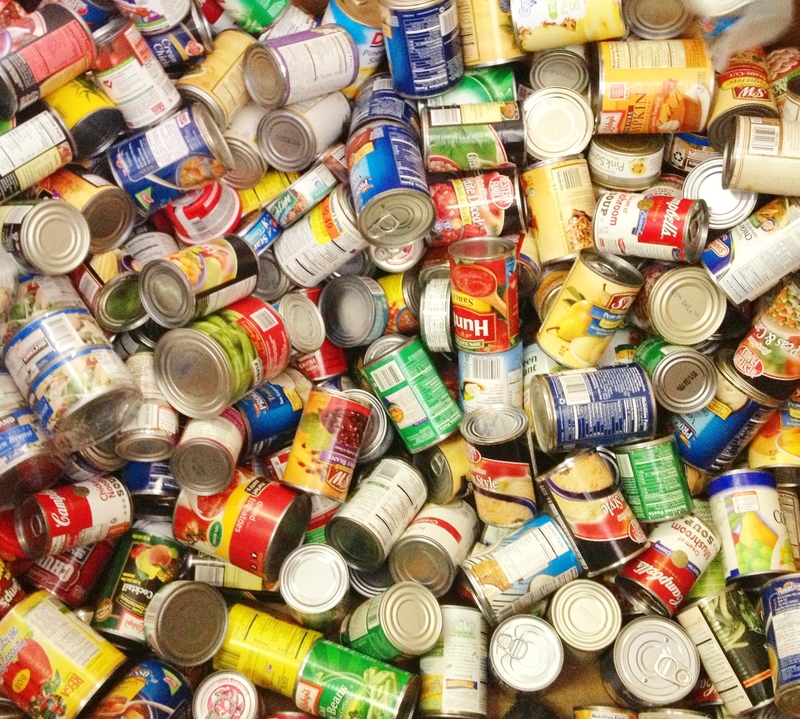 Donated food may consist of seasonal, surplus or discontinued items, or food in damaged containers. Food Drives (5%): Utah Food Bank collects approximately 2 million pounds annually from community food drives that are often coordinated statewide with local agencies. While the amount collected from food drives is relatively small in relation to the total poundage we distribute each year, it is crucial because it provides a variety of food that we are often unable to offer from commercial donations or purchased food. Purchased (3%): On occasion, Utah Food Bank purchases specific food items to help fill in gaps in what we receive through other donation sources. Last year, Utah Food Bank distributed 43.3 million pounds of food, the equivalent of 36.1 million meals, to Utahns facing hunger across the state. Emergency Food Assistance: Emergency Food Assistance is the central means by which we distribute food to children, seniors and families in need throughout the state. Food is collected in our warehouses, then distributed through our statewide network of 150 partner agencies. Find your local food pantry here. Mobile School Pantry: Utah Food Bank’s newest program, Mobile School Pantry, complements both school meal programs and our other childhood hunger programs. It provides a cost-effective food distribution point for children and their families at the end of the school day in a safe and trusted environment—the school playground. Last year, through distribution at 67 school sites, we were able to reach 304,845 individuals, 169,373 of whom were children. This year, we are serving 69 sites—and the program continues to grow! Kids Cafe: Our Kids Cafe program provides free snacks and evening meals in partnership with after-school sites at local elementary schools, Boys & Girls Clubs and community centers. Last year, we served 399,974 meals to children at risk of hunger at 86 after-school sites. BackPack Program: Utah Food Bank’s BackPack program works in conjunction with 23 after-school sites and is carefully designed to mitigate the stigma that is so often associated with hunger. Last year, Utah Food Bank furnished 25,800 packs of food to help sustain Utah children during weekends when they lack access to school meal programs. Food items distributed through this program are kid-friendly and easy to prepare foods such as instant oatmeal, canned ravioli and macaroni and cheese. Mobile Pantry Program: Mobile Pantries provide support to Utahns facing hunger in communities that are underserved by traditional brick-and-mortar pantries. Mobile Pantries also bring food to areas where clients lack sufficient transportation to access the nearest food pantry. Food Box Programs: Utah Food Bank provides free, monthly food assistance to homebound seniors and people with disabilities living in poverty. Each food box contains approximately one week’s worth of non-perishable food, plus as much fresh food as available. We receive nutritious foods directly from the USDA through the Commodity Supplemental Food Program (CSFP) for distribution to Utahns living in poverty who are at least 60 years of age. Last year, we distributed 46,027 boxes of food through these programs, helping seniors and people with disabilities who often have to choose between food on their tables and life-saving medicines. Utah Food Bank can stretch each $1 donated into $7.34 of goods and services.